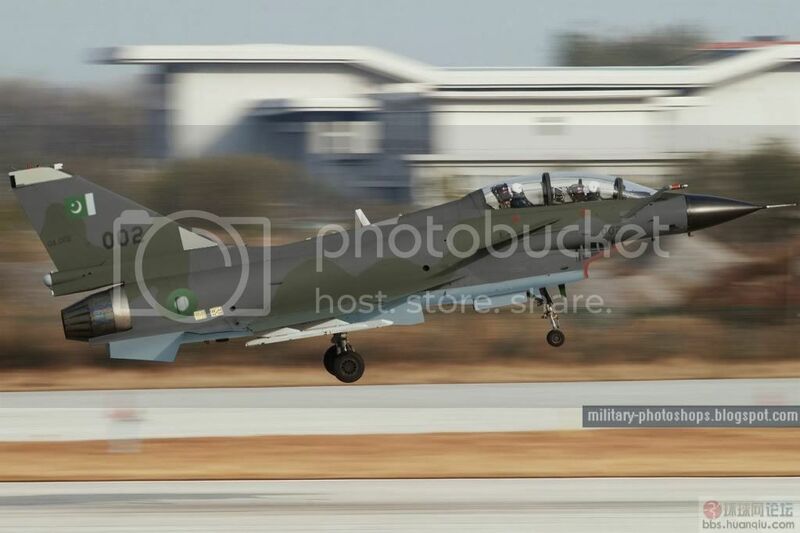 J-10 S seen here in PAF Mirage color scheme which it is replacing . PAF ordered its first batch of 24 J-10 S in 2006 to replace its older Mirage V fighter/bombers and a second batch comprising 18 J-10 S to form 3 strike squadrons. These aircraft will be used in deep strike at key strategic enemy positions during the first wave of attack . The J-10 (Jian 10 or Fighter 10) is China's indigenously built multirole fighter aircraft developed by the Chengdu Aircraft Industry. Chengdu Aircraft Industry is part of the China Aviation Industry Corporation I (AVIC I). In the West the J-10 aircraft is known as the Vigorous Dragon. It is estimated that up to 300 J-10 fighter aircraft will be manufactured. China's People's Liberation Army (PLA) includes the army, navy, air force and strategic rocket force. The air force (AFPLA) has 200 fighter and fighter ground attack squadrons and 120 strike fighter squadrons. The J-10 aircraft is considered the replacement for the J-7 and Q-5. The air force currently operates about 250 J-7 (MiG-21) air defence and attack aircraft and about 500 Q-5 attack aircraft. China formally announced the J-10 in February 2007. The existence of the J-10 was first reported in 1994, but the J-10 programme was started in 1988 and the first flight of the single seat aircraft took place in 1998. A two-seater variant made its first flight in 2003. There are reports that the J-10 entered service in 2005 and is operational in single seater and two seater versions in at least two PLA air force squadrons. The first native fourth-generation J-10 aircraft was unveiled by the air force in April 2010. Four J-10 fighter jets were showcased by the 24th fighter division of AFPLA. Pakistan will receive the first export versions of the J-10, up to 36 aircraft, by 2015. China and Pakistan have worked closely on the development of another fighter aircraft, the JF-17 or FC-1 light fighter aircraft. There seems to be little or no word in the press regarding J-10 Deal. Very quiet indeed!